Urban Green's Emerging Professionals invite those of all ages and career levels to join them for a Sustainability Scavenger Hunt in the Meatpacking District on August 28. Teams will compete to find "green" items throughout the neighborhood, ending the evening with a happy hour at Flannery’s Bar. The winning team will receive Urban Green tote bags and a round of drinks! Join Urban Green’s Emerging Professionals for a summer scavenger hunt! 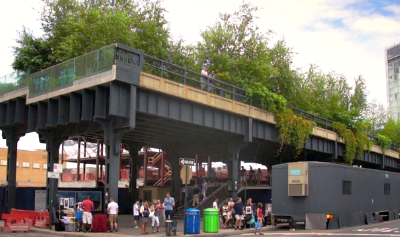 Teams will look for sustainability-related items in the Meatpacking District. Join us for a members-only tour of the Digester Eggs at the Newtown Creek Plant to learn more about NYC's wastewater treatment process. We often think of New York City as a leader in sustainability today—but many are unfamiliar with our city's rich, decades-long history as a trailblazer in applying sustainability concepts and practices to the urban environment. 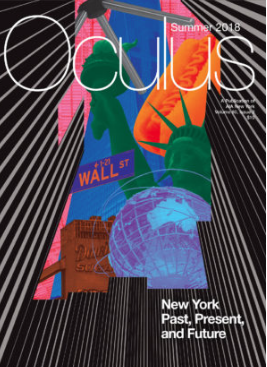 Read all about it in "Origins of Green," written by Urban Green's Senior Policy Advisor Laurie Kerr and USGBC SVP Roger Platt for the summer issue of AIANY’s Oculus Magazine. 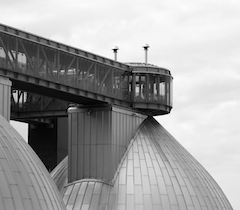 Join us on October 3 for a members-only tour of the Digester Eggs at the Newtown Creek Wastewater Treatment Plant! Discover how NYC's wastewater treatment process works to protect public health and NYC’s waterways. Then you'll have a chance to visit the Digester Eggs observation deck, a glass-enclosed walkway with views of the Manhattan, Brooklyn and Queens skylines. This year, the annual CitiesAlive conference will explore how we can shape a healthier, more resilient NYC with green infrastructure solutions. More than 80 expert speakers will explore biophilic design, urban agriculture, green finance, advancements in green infrastructure policy, and more. Use code CAPartner50 to recieve $50 off when registering.